Chandler Ranch, Salt River, Ariz.
to the older version or return to version archive. Comparing version 11:44, 7 Feb 2015 by lizzieo with version 13:56, 10 Jan 2019 by lizzieo. 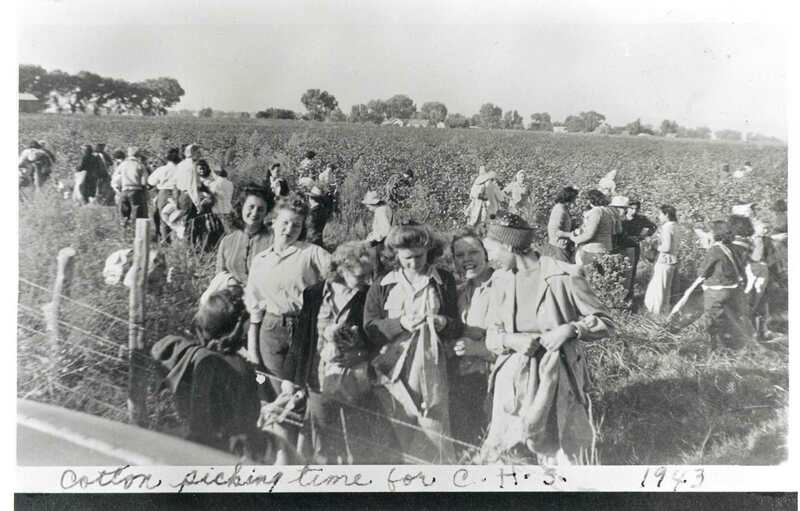 Description: Students from Chandler High School pick cotton in athe field, 1943. Description: Students from Chandler High School pick cotton in the field, 1943. Description: Students from Chandler High School pick cotton in a field, 1943.